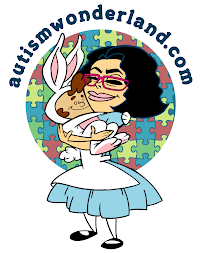 AutismWonderland: Through the Looking Glass: Making the Possible, Impossible! Through the Looking Glass: Making the Possible, Impossible! This is what was said to me by my friend over fifteen years when I was expressing to her my struggles with childcare and making time for, “me!” I cried! Let me tell you why. I am a speech therapist who has worked with special needs children for over 12 years. However, when my beautiful son was diagnosed at 19 months with Autism Spectrum Disorder, my life changed more than words can express. As if motherhood is not a complete life altering experience, receiving this diagnosis is indescribable. Making the possible, impossible. I don’t ever feel like I do enough. I cry out of guilt because I don’t work enough with my child, I am not providing enough appropriate language models for him, because of course, since I am a therapist I know everything. NOT… He is my son, not my client or student. It is emotional for me, therefore when it comes to him, I feel stuck on stupid! I could tell a parent of one of my students what to do with him/her but when it comes to my own, I struggle! I’ve learned, I AM NOT HIS THERAPIST! I am his mother! I AM NOT HIS THERAPIST CHECKING DEVELOPMENTAL CHECKLISTS! I get him ready for school. Show him some computer games, color with him, and sometimes, I even just play with him but of course playing for me is different. I, instinctively, evaluate his progress. How is he playing? Is he playing appropriately? Is he using his language appropriately? Is he transitioning well? My mind is constantly going. Making the possible, impossible. “You need time for yourself!” Yes, I do but I don’t. 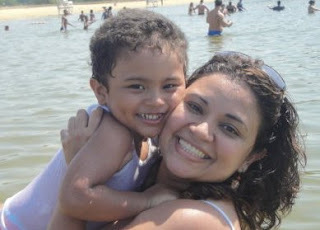 My time is dedicated to my son and his therapies, food shopping, and picking up the disaster of my house. The rest of the time, I attempt at being a therapist, a daughter, a friend, and a partner for a strained relationship. I must admit I have fallen short. I readily have childcare, so I do what I need to do. Do I get tired? Yes. Have I felt like I can’t do this anymore? YES! Do I want to run out my house and scream sometimes because my son has had a rough day and is having a tantrum? YES! But, I don’t. I make the impossible, possible! I redirect my son when he is having a tantrum and make him smile. I tell him, “it’s ok,” without totally losing my mind. I go to work every morning after getting up three times a night and somehow manage to smile and work with my students. I take him to school, to his therapies and deal with some highly insensitive people. But always with some type of composure, I smile. And I smile with my family and friends when the depth of my soul just wants to sleep and cry. I make the impossible, possible! I work day in and day out to keep positive. To rejoice in every single accomplishment my son exhibits. My son is worth all my time and energy. He is my heart and soul. That is why I take on everyday and make it into a day of possibility.